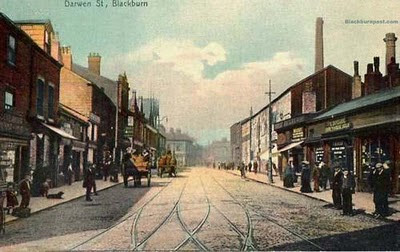 Lovely old picture of Darwen Street, viewed from the railway bridge. Look at how the tram tracks in the foreground cross each other. 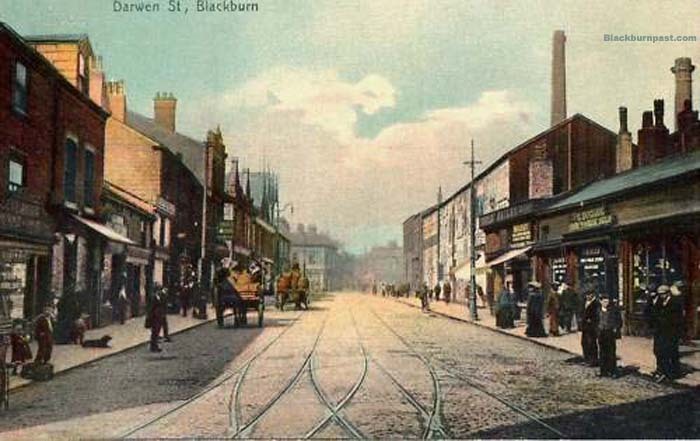 They crossed like that at the other end of this stretch of Darwen Street too, where the road forked into Mincing Lane. Sounds like an educated guess to me John. I'm clueless with anything like that. Cheers !